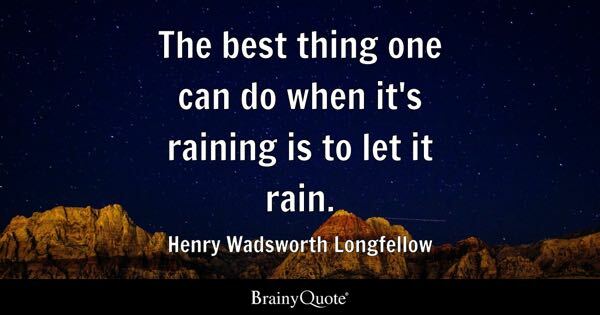 Due to the rain over the past few weeks many growers have been unable to get back into fields to spray herbicides, fungicides, or even finish planting. 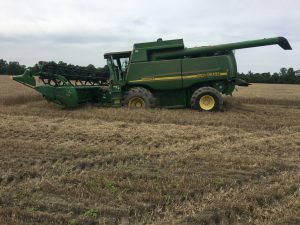 Fields are finally drying out now, sprayers are running and bogging everywhere they can, fields are being planted, and some are also trying to harvest wheat. How late can you plant? Plant by June 15. After this date the yield loss is too high for most anyone to risk. Increase seeding rate by 25% and try to get at least 2 seed per foot. Plant the same varieties that performed well in trials. There’s a lot of talk on early varieties, but the varieties that yield highest when planted in April and May will still yield the highest when planted in June. There are numerous cotton and peanut fields where pigweed have escaped. 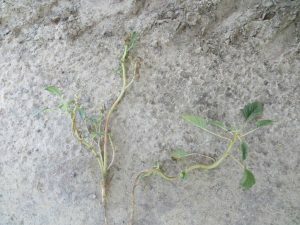 The rain delayed required spray, and the at plant herbicides efficacy decreased before the next herbicides could be applied. The good news is the herbicides we’ve depended on for several years are still working well. Most strip till cotton fields that included Valor in their burn down program are clean, except for some volunteer peanuts. 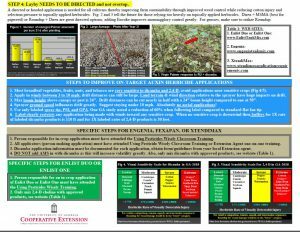 As you all know, Valor will give 30 days control, so it’s still a very valuable tool to have in your herbicide program. The other good news is this is the perfect scenario to see the benefit of the auxin herbicide technologies. If you have small pigweed (less than 6 inches tall) – Liberty is a great option in cotton. If you have large pigweed and an auxin cotton variety (with no sensitive crops around) – 2 sequential applications 10-12 days apart with Roundup + 2-4,D or dicamba (depending on cotton variety) will work very well. Follow with diuron + MSMA at layby. Roundup + Dicamba will bend pigweeds (pictured right) over to allow layby application to kill weeds. The layby application is critical for successful weed control. For Palmer pigweed at layby: Direx + MSMA; add Envoke or dicamba for morning glory. If grasses are the only problem at layby: Roundup + Direx; add Envoke or dicamba for morning glory. Sprayer clean out and drift management still needs to be a top priority when using auxin chemicals. 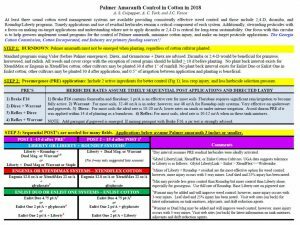 Peanut fungicides, herbicides, and cotton herbicides are all being applied, often with the same sprayer. How well and how often is the sprayer getting cleaned? 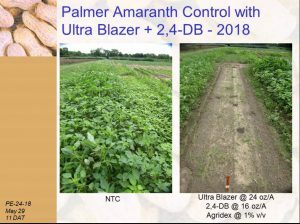 Despite what some have said or believe, 2,4-D is NOT any safer on peanut than dicamba. (See the below graphs.) Peanut yield response is dependent upon rate and time of application. It is important that peanut growers are aware of the off-target movement and sprayer contamination risks associated with 2,4-D and dicamba, especially when peanut plants are beginning pod or in full pod stages of growth. It is extremely important for growers to utilize drift reduction strategies when applying 2,4-D or dicamba near peanut fields. Sprayers should be thoroughly cleaned of residues before spraying sensitive broadleaf crops. Table 1. 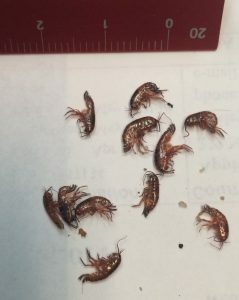 Peanut (GA-06G) yield response to 2,4-D amine applied at 30 days after planting in Georgia. Table 2. 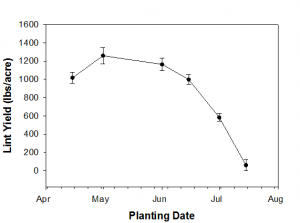 Peanut (GA-06G) yield response to 2,4-D amine applied at 60 days after planting in Georgia. Table 3. 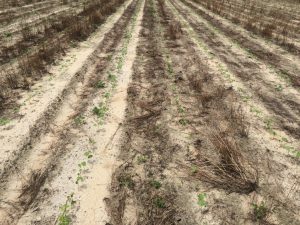 Peanut (GA-06G) yield response to 2,4-D amine applied at 90 days after planting in Georgia. Estimated average peanut yield losses (%) caused by dicamba. a. Adapted from Prostko et al. 2011.
b. Clarity® 4SL (4 lb ai/gallon) herbicide available from BASF, 26 Davis Drive, Research Triangle Park, NC 27709.
b) Cobra or Ultra Blazer + 2,4-DB + Dual or Warrant or Zidua (assuming ALS resistance is present). Check out below picture of Ultra Blazer’s effectiveness on pigweed when applied correctly (rate, timing, GPA, nozzle, speed). I would expect the very same from Cobra.